We design and build custom vanity cabinets that work for any kind of vanity. 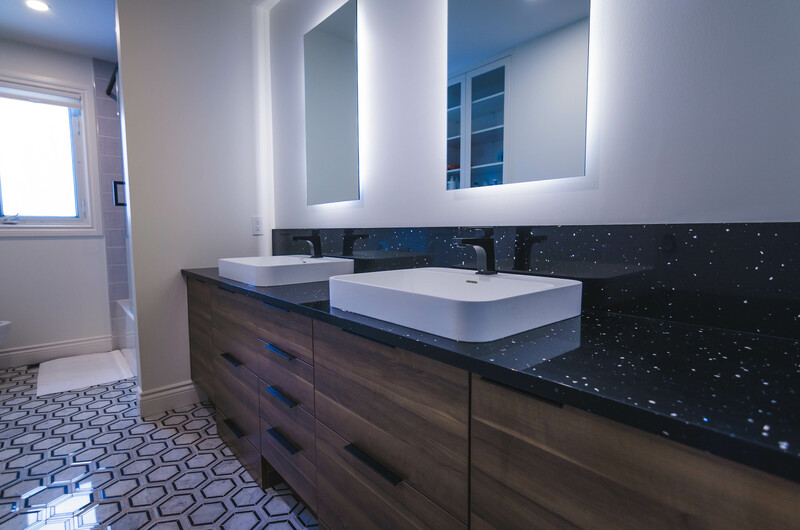 Whether you are going for a simple, yet functional design, or a completely custom designed space that works well with the rest of your home, we can design and manufacture custom vanity cabinets that can perfectly fit your space. We will work with your choice of appliances and fixtures and can custom manufacture each vanity cabinet specifically to serve your needs. Our sales team has a wide range of ideas that will help the homeowner who is not sure what will work best. Contact us for more information about designing your perfect vanity cabinets!